FAE is pleased to introduce the new SSH-SSH/HP forestry tiller with a fixed rotor for tractors from 160 to 500 HP. 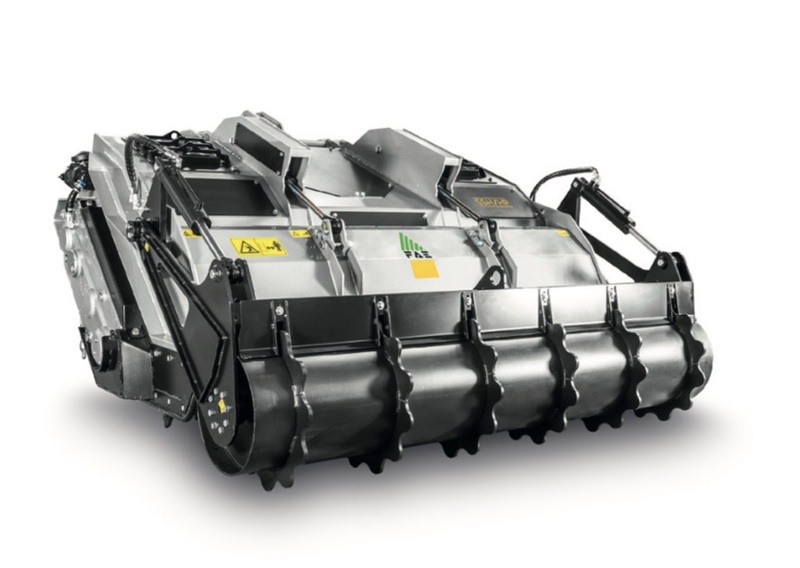 This powerful machine is ready to turn an untamed land into ready-to-plant fine soil fast and efficiently. Forget extra steps and grind stumps up to 70 cm / 28 inches, deep root systems (up to 20 inches/50 cm), and prepare your soil for planting all at once. The superior design ensures the maximum resistance to abrasion and damage while delivering an unparalleled safety to the operator. To improve the material flow, we increased the distance between the grid and the rear door. Finally, the new “wide roller” delivers fine, soft, and compact soil that is ready for farming. Are you prepared to conquer new terrains?